This is not ever going to come from the media that willy-nilly propelled Mr Obama into the White house as the most unexamined candidate in history. It finally turned out that he was a classic Marxist liberal arts professor who followed that dream deep into his career and was molded accordingly. Most likely his wife balanced his check book. Now he must run on his record and that record begins and ends with one salient reality. He ignored the housing crisis in every way shape and form. Even Hoover did not ignore the depression ill advised as his prescriptions were. Today we do know better and a lot could have been done as I spelled out myself four years ago. Today, that market only now is seeing its first signs of life. In the meantime, this election is Mr Romney's to lose and I can not imagine quite how this could be accomplished. The analysis below truly shows just how daunting Obama's task has become. Usually elections are won or lost between two well matched candidates within one percentage point. Right now I suspect that the real spread out there exceeds five percent which can still be cloudy in the poling. We are looking at a Reaganesque landslide in the making even if Obama is able to hang on to his core. The American people know who Mr Obama is today and they will simply not want another four years of his performance. Recall they are all getting the bill for Obama-care. Is anyone paying less? As I study the news looking for clues as to who is going to win the White House in November, I am struck by how, no matter where I look – from the most obvious to the things only a political junkie finds under a rock or in some tea leaves, etc. – every single indicator (big and small) points to a Romney victory and, in fact, something awfully close to an electoral college landslide. While I will, of course, discuss the polls, the vast majority of my analysis comes from observation and common sense. Let’s first establish a baseline. Mark Levin asked a room full of folks at the Ronald Reagan library recently, “Do any of you know a single person – even one – who didn’t vote for Obama in 2008 who plans to vote for him in 2012?” The answer, of course, was “no.” Not a single person in the room knew a single person who Obama had, in the course of his presidency, convinced that he was better than they’d expected him to be. Conversely, we all know at least one person – and I personally know more than a dozen (because I ask) – who voted for Obama in 2008 who nothing less than rues the day. Given that Obama’s 2008 victory was, while large in size, in no way numerically historic, and that he had all sorts of advantages (being a blank slate, following eight years of war after 9-11, etc.) that he won’t have this time, Obama’s chances for a second term are significantly lower based on just Levin’s observation alone. But, for Obama, it gets worse. Not only is the pool of potential Obama supporters way down from 2008, so too is the enthusiasm amongst those who still, to one degree or another, prefer Obama over the alternative. Whereas, not all that long ago, Obama could pack football stadiums and basketball arenas with ease, not even the lure of attending the big campaign kick-off event was enough for Obama supporters to come, leaving the venue half-empty. If you can’t get your supporters to an historic rally in the spring, there’s little chance they’re going to drive to the polls in the dead of winter. Worse still for the President is that, in order for him to have pulled off his original victory, he needed unprecedented enthusiasm (manpower, money, votes and more) from a handful of the Democrat Party’s traditional constituencies such as blacks, Jews and those under twenty-five. If these numbers were to simply return to normal, then Obama’s chances of a second term are only further diminished. But logic and evidence suggests Obama’s support from these groups will be less – in some cases far less – than what any and all Democratic nominees can count on. This is because, thanks to his policies, each of these constituencies has a specific and rightful grievance against this president. These grievances not only dampen their enthusiasm for Obama but, in many cases, turn them against him. Blacks, for example, particularly hard hit by the liberals’ fifty-year war against the traditional family, have taken singular exception to Obama’s clearly politically motivated endorsement of homosexual marriage; Jews are rightly concerned about the most virulently anti-Israel President since the Jew-hating Jimmy Carter, while the young who have (attempted) to enter the workforce are suffering the realities of looking for a job in an Obama economy and can’t be wholly unaware that each dollar of new deficit Obama racks up will be expected to be paid for by them. Will Obama still take a majority – even a large majority – of votes from these constituencies? Of course. But in every way – manpower, financial contributions and votes – not only will Obama fail to receive record support as he did in 2008, or even the usual support a Democrat needs, he will fall short and even see some of that support drift to Romney. There is one more constituency that Obama had to win – and win big – in order to win the White House in 2008 that is now not only less supportive but greatly disgruntled. They are the independents (and even some right-of-center Republicans) who might well have disagreed with many of Obama’s policies and prescriptions but who were willing to accept four or eight years of an Obama presidency in exchange for the promise his rhetoric offered of a more civil America. Higher taxes, more wasteful spending, they believed, were an acceptable price to pay for a “post-partisan” America and maybe even a “post-racial” United States. After four years of the most viciously partisan presidency in anyone’s living memory and the most race-charged administration most of us can ever recall (not to mention the vile tactics so closely associated with Obama and his administration, which are named after his hometown, “The Chicago Way”), those who voted against their policy preferences to elect the guy with “hope” and “change” are and can be nothing less than disgusted with him. The category pollsters use to measure this sentiment is called “likeability” (or “personal favorability”) and Obama’s rating in this category is plummeting. The only way that a failed president can win a second term is if the people like and trust him. According to the latest New York Times poll, Obama’s tactics have left him “favorable” to only about one out of every three voters (36 percent). Other recently released data suggest that Obama is in big trouble as well. Not the least of them is the Obama camp’s inability to get people to donate to their campaign. Not all that long ago, a confident (arrogant?) Obama team was predicting so much support that they’d bring in more money than any other campaign in human history – over one billion dollars. So far, not only has Obama not come close to being the greatest fundraiser in all of human history, he’s not even the top fundraiser in his two-man contest for the presidency. In fact, he trails Romney’s financial support by a wide margin. This is important not just because money is a plus in any campaign (though not nearly the plus that many make it out to be) but because it is a tangible action. Answering the telephone and saying “yes” or “no” ten times to some stranger from a polling company doesn’t require much of a commitment. People who donate to a campaign are likely to do even more for that campaign and they are almost guaranteed to do the one thing that matters most: vote. And there is more evidence of an impending Romney victory to be found in how each camp is conducting its campaigns. The strategies employed, the rhetoric chosen, all of these things reflect the campaign’s belief about where they stand at any given moment in the contest. For example, it is simply a truism in politics that a candidate who believes he’s winning stays on the message that put him in the lead. Those who believe they’re losing change their message until they find one they believe is a winner. Romney has run almost the entire time on a single, compelling and positive message. At its heart it’s something like “America is in economic dire straits. I’ve made my fortune and my reputation saving big and complex things (the Olympics, major industries, etc.) from economic dire straits. Vote for me and I’ll save America.” Romney’s staying on that message makes clear that, at the very least, his own internal polling and other evidence has convinced his campaign that he’s winning. Obama, on the other hand, seems to be premiering a new message just about every week or two. It’s a practice of the desperate not so delicately known as “Throwing sh-t against the wall hoping something sticks.” Clearly, then, the Obama camp’s inside information is telling them the same thing my analysis and Romney’s intelligence is telling us: their messages aren’t working and that they trailing in the election. Making matters worse for the president is that, while Romney’s message is positive and promising, the tenor of Obama’s ever-changing messages has been singularly negative. As a failed president, since he can’t run on his record, the only option available to him is to try and render the alternative so far beyond the pale that, no matter how bad Obama is, the alternative is just unacceptable. In other words, the entirety of Obama’s message (whatever it is at the moment) is comprised not of words like “Vote for me because” but only “Vote against him because…” Such an unrelenting campaign of negativity – the only option for Obama – only serves to further undermine the only thing that could possibly help him win: his “likeability.” It’s a catch-22 from which Obama is unlikely to be able to escape. Making matters worse still for the current president is that, in these ever-changing messages, Obama’s case against Romney has ranged from beneath the dignity of a president of the United States to beneath contempt to beneath sanity. In a short time, then, the Obama team’s message went from “Vote against Romney because he once had a dog carrier built that attaches to the roof of his family car,” to “Vote against Romney because fifty years ago he engaged in a high school prank” to “Vote against Romney because he’s a successful businessman (and therefore probably a felon)” and so on. 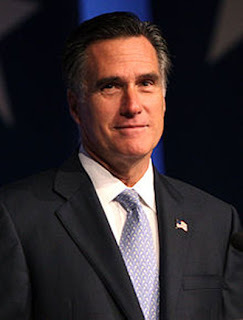 If this is all he’s got – and apparently it’s all he’s got – start making plans to attend Romney’s inaugural. But it’s even worse for Mr. Obama because, not only did these ludicrous attacks utterly fail to move the needle even the slightest in his direction, each and every one of them totally backfired. Some, disastrously so. For example, while no one cared about Romney putting his dog in a carrier on the roof of his car, it allowed Obama to become a laughing stock for happily admitting that he had, at least once, put a dog on the roof of his mouth. And, while no one cared about a childhood prank Romney helped pull off a half-century ago, it did lead to questions about Obama’s admission inDreams From My Father that, at about that same age, he had shoved a young woman. And while no one was up in arms about the fact that a wealthy man had investments in countries outside of America, it not only exposed the hypocrisy of the accusers when it turned out that virtually every Democratic senator and congressman had similar investments, but it raised questions about how so many supposed “public servants” had amassed the kind of money usually associated with titans of industry. While the Obama camp quickly threw Ms. Fluke under the bus, they weren’t quite prepared to give up their effort to discredit Romney and all Republicans as “women haters.” Soon – with great fanfare and (media-generated) publicity – they unveiled their masterpiece: an animated “everywoman” they named “Julia.” The campaign soon became the stuff of pure mockery, doing nothing to help Obama’s chances in November. In fact, while it did nothing to advance the phony narrative of Republicans as being “at war” against women, what it did was to expose the very real misogyny of the liberal movement. While the storyline followed the feminist meme, “A woman needs a man like a fish needs a bicycle,” it also made clear that these liberals believe a woman desperately needs a nanny (state) to accomplish even the simplest of things in her life. But even more telling about the state of the race than the ever-changing slanders that serve as Obama’s campaign themes, is who the messages are targeting. The fact that, three-and-a-half years into his presidency, a Democrat is still desperately trying to scare single women into voting for him means that Obama’s internal polling must be telling him that he’d better take desperate measures just to shore up a constituency that should have been his from day one. Similarly, this is the only possible explanation for Obama’s desperate ploy to suddenly end his “evolving” and embrace homosexual marriage. It is hard to believe that after more than fifty years of life, twenty-five years in academia or as a professional speechifier and three-and-a-half years as president, he’d suddenly had an epiphany that couldn’t wait just a couple more weeks until after what some believe will be a very close election. The only possible explanation for the timing of Obama’s announcement was that he needed to placate the LBGT community, and the only reason he’d need to placate them is because his polling showed he hadn’t even shored up their vote this late in the game. If a liberal Democrat isn’t even sure of the support from the LGBT movement a few weeks before Election Day, chances are good he’ll be packing his bags come January. Another indicator along those same lines is that, while Obama is spending every penny he takes in and then a full twenty percent more (in debt), Romney’s “burn rate” is about eighty percent, saving twenty cents of every dollar the way prudent people save for the possibility of a rainy day. Obama’s spending every penny he can get his hands on as fast as he can get his hands on it seems to indicate his understanding that he needs to just survive July at any and all costs and deal with the future if he makes it. And it’s not just Obama’s desperate attempts to buy his way back into contention that is telling, so too is just what his campaign is spending that money on. Spending this much money on television ads in July shows a degree of desperation. Spending this much money on paid staff seems to be an indication Obama is lacking for the support of volunteers and so on. Finally, the most telling of all is how much Obama is spending on polling. Polling to judge the state of the race in July is not much of an imperative, especially when there are so many free sources for this information (Rasmussen, Gallup, etc.) Typically such polling is conducted at this time to test various campaign themes and messages. Obama’s frantic spending on focus groups and other such polling indicates that he is desperately searching for a message that will work and that he hasn’t yet found one. But I’m already on page five and, well, no matter where I look, all I see is a Romney victory in November. In fact, it looks like it might even be a romp.